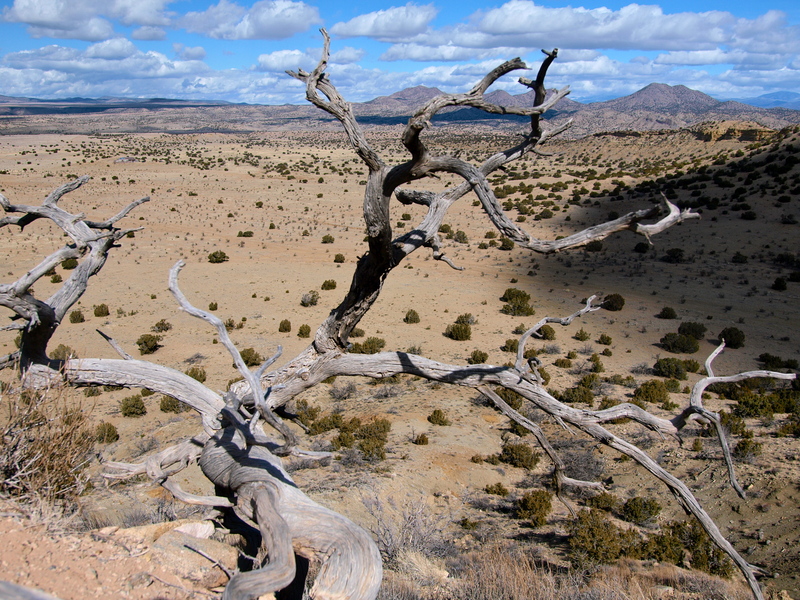 Yesterday was one of those rare grey days in New Mexico, when the sky is flat and the landscape is dull brown. Without sunshine, everything out there looks dusty and dead. The great thing about grey days is when the wind picks up and the cloud cover finally breaks, we get these epic blue sky days with great big bright white puffy clouds. The clouds are so big that sometimes they settle in the mountains and make them look like hills. Days like these are a photographer’s dream. When the sky is filled with clouds like these, it’s almost possible to capture the size of these views through a lens. I spent the morning editing stories for EARTH, setting up interviews, learning about the Little Ice Age, submitting invoices and writing, writing, writing. Lots to do before I leave for the Grand Canyon! But the clouds were beckoning outside my window, blowing west to east across the valley. At lunch, I went outside, hiked a mile across my big backyard, climbed straight up the side of Mesa Viento and ate my sandwich, watching the clouds. Mesa Viento means Windy Mesa and this place earns its name. I'm sitting on the leeward side of this Apache Plume. 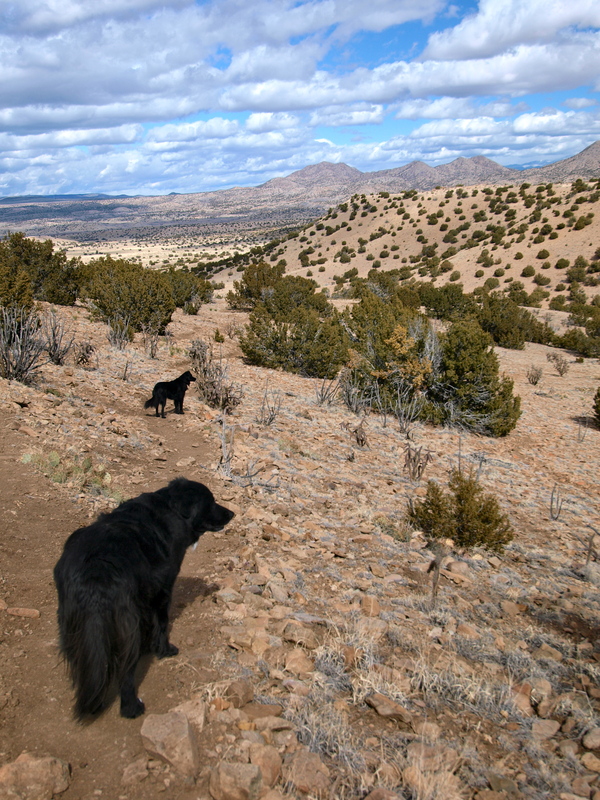 This entry was posted in Bowie & D.O.G., Hiking!, New Mexico, Photography, Sustainable Living, Vagabonding 101. Bookmark the permalink. Yeah, I’ve lived in Montana and that Big Sky has nothing on this Big Sky! I am currently doing a 100 Hike challenge – and living in New Mexico, near the Gila Wilderness, makes this a beautiful and enjoyable challenge! 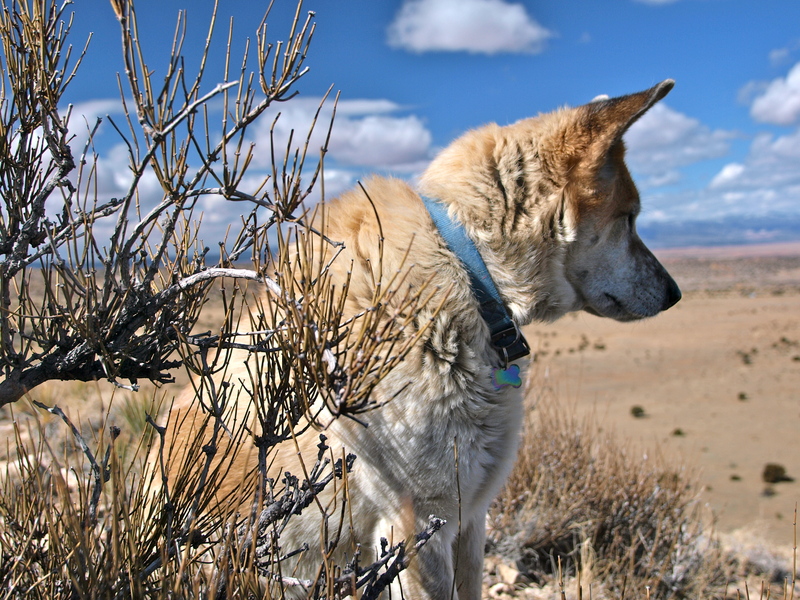 I am enjoying your blog and photos because it reminds me of me and my dogs out there hiking! I sure wish I could take the photos that you can! They’re amazing! I am attempting to do 100 different hikes in a 12 month period. I have seen some beautiful, remote spots that I never knew were here, right in my backyard! 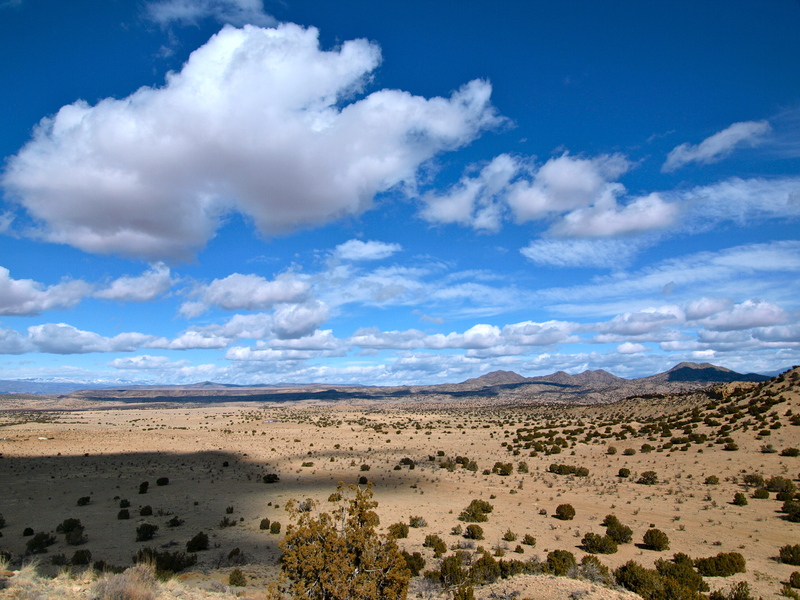 I enjoy your photos of NM – you capture its essence beautifully! I love that top photo. the sky is fantastic.